My specialty is athletes who are busy professionals and business people, of all abilities. I have experience coaching athletes of all ages. I work with athletes to identify areas where they need the most improvement, often partnering with discipline-specific experts to address areas of opportunity. Most of my athletes primarily focus on short course and 70.3 distances, and need to optimize the balance between their family, professional life, and training for targeted, effective training. Neal is an assistant coach with Mile High Multisport. He has been coaching since 2012, and is a USA Triathlon Level 1 Certified Coach and a SlowTwitch Triathlon Cycling Certified Coach. 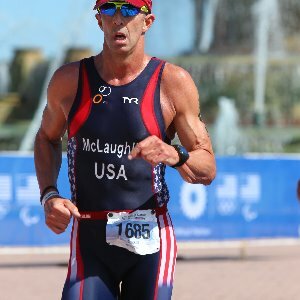 Neal is a 13 time USA Triathlon All American and a 13 time member of Team USA. Neal's results include 4th place M55-59 at 2016 ITU Duathlon World Championships (Standard Distance), 4th place M55-59 at 2014 ITU Triathlon World Championships (Sprint Distance), and 1st place M50-54 at 2009 USA Triathlon National Sprint Distance Championships. Neal is a successful professional in employee benefits, and is married with two adult children. He experiences, first-hand, the challenges of balancing family and work with a demanding training schedule. Neal intentionally limits the number of athletes he coaches, in order to give them the personal attention they need to succeed. I prefer that athletes train with power meters and heart rate monitors. Athletes must commit to communicating with me regarding their training, and goal-oriented. Success. Coach Neal McLaughlin has been notified of your message.